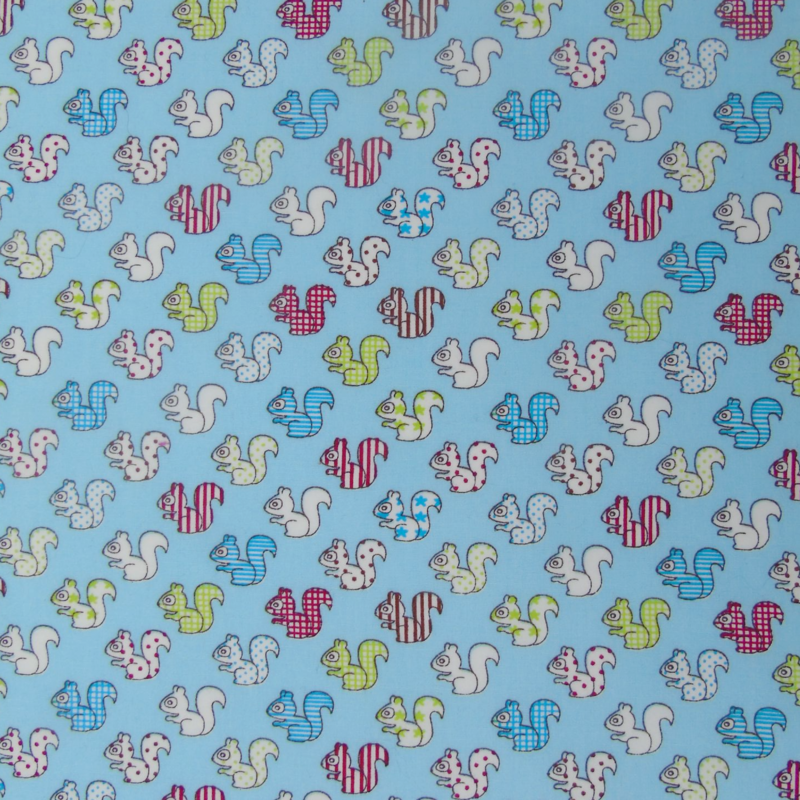 This is a super-cute Squirrel print dog Bow Tie in a lovely shade of pale aqua blue! 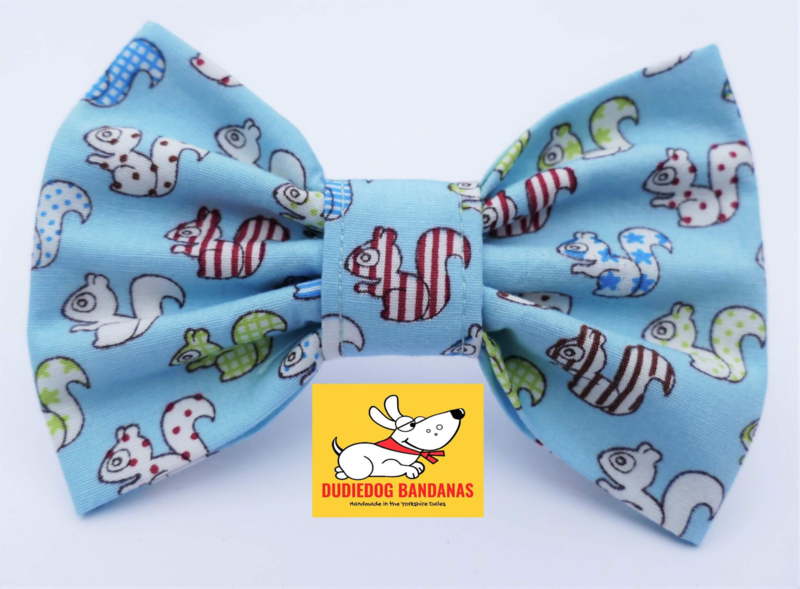 Decorated with cute little squirrels, this is the perfect Bow Tie for a dog that just loves squirrels!! The squirrels are tiny, and are in a variety of colours, and decorated with patterns...spots, stripes, stars and squares. This Bow-Tie is 100% cotton. This is a great look for the summer months, and is perfect for holidays, or any occasion!